Aesthetic business consultant Wendy Lewis reports on the 21st American Society for Aesthetic Plastic Surgery meeting. The American Society for Aesthetic Plastic Surgery (ASAPS) is the world’s leading organisation devoted entirely to aesthetic plastic surgery and cosmetic medicine of the face and body with more than 2,600 plastic surgeon members. 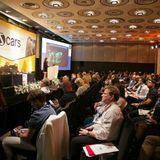 New York City was host to this international congress of aesthetic plastic surgeons who came to learn, listen and share their techniques with colleagues from all over the world. Aesthetic surgery has evolved from purely a surgical specialty to include a vast array of non-surgical procedures, including lasers, energy-based devices, injectable fillers and neuromodulators. At the congress there was a lot of excitement about the future introduction of several new toxins. RT002 from Revance Therapeutics, daxibotulinumtoxinA, has been shown in clinical trials to have a longer duration of efficacy according to oculoplastic surgeon Mr Brian Biesman; while plastic surgeon Mr Alan Matarasso explained that EB-001 botulinum neurotoxin serotype E (BoNT/E) from Bonti is said to has a fast onset of action (within 24 hours) and a short duration of effect (about three to four weeks) making it potentially suitable for pain management. Emerging uses for PRP was a recurring theme of the conference, in addition to fat grafting; in particular gluteal fat graft that has become a controversial topic among plastic surgeons due to the rise in complications and patient deaths that have been reported. Other popular topics were the Motiva breast implants and the expanding category of vaginal rejuvenation systems. As discussed by plastic surgeon Mr Jason Pozner, a new entry in this category is the first home-use vaginal device, the vFit system (called vSculpt in the EU) from Joylux, Inc. that uses a patented combination of low level light, gentle heat, and sonic technology to aim to help women improve sensation, pleasure, and intimacy. New radiofrequency-based microneedling launches include the Vivace Fractional Microneedle RF from Aesthetics Biomedical, presented by plastic surgeon Mr Stephen Ronan, and Secret RF from Cutera. In the new device category, Cytrellis Fractional Coring Skin Tightening Technology designed to remove sagging skin without surgery or scarring, was introduced and is currently undergoing clinical trials, according to Mr Pozner. He said the technology utilises a fractional laser with a 22 gauge needle, making micro-excisions aiming to promote skin tightening and improvement in wrinkles with minimal downtime. A session by plastic surgeon Mr Brian Kinney which featured the launch of the new EmSculpt system from BTL Aesthetics gained particular attention; the device aims to build muscle and reduce fat using the company’s proprietary HIFEM (High-Intensity Focused Electromagnetic) technology that induces supramaximal muscle contractions. 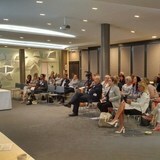 In the topical skincare category, growth factors, peptides and alpha and beta defensins attracted major interest and debate. Data was presented by leading plastic surgeons on two patent-pending technologies used in age-reversing topical formulations, Mr Alan Widgerow discussed TriHex technology from Alastin Skincare and Mr Barry DiBernardo spoke on Age-Repair Defensins from Defenage Skincare, both available only in the US to date. Among the new developments in business management was the introduction of a new subscription service for practices to improve patient retention. Called HintMD, the cloud-based model offers a unique patient engagement and commerce platform for aesthetic practitioners that features personalised treatment plan subscription solutions to drive repeat treatments, patient compliance and satisfaction. 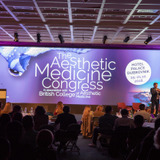 Social media and digital marketing took centre stage, with a number of panels and courses devoted to new strategies for promoting aesthetic procedures online. Among the presenters were plastic surgeons Mr Anthony Youn, Miss Heather Furnas, Miss Jennifer Walden, Mr Matthew Schulman and Mr Christopher Khorsandi. Key learnings included the consensus of opinion that Instagram has emerged as the leading platform for aesthetic patients and has underscored the advancement of live streaming video content as a must-have marketing tactic for 2018. Among the key strategies for social media success presented included best practice for using Facebook Live, Instagram Live and Instagram Stories, and Snapchat to convert fans and followers to new patients, as well as the advent of Facebook messenger and text messaging for patient communications. There was also an emphasis on the recent Facebook privacy issue that has raised concerns among aesthetic surgeons over the potential breaches of patient privacy data. Finally, Mr Grant Stevens, board-certified plastic surgeon from California, took over the helm as the new ASAPS President. 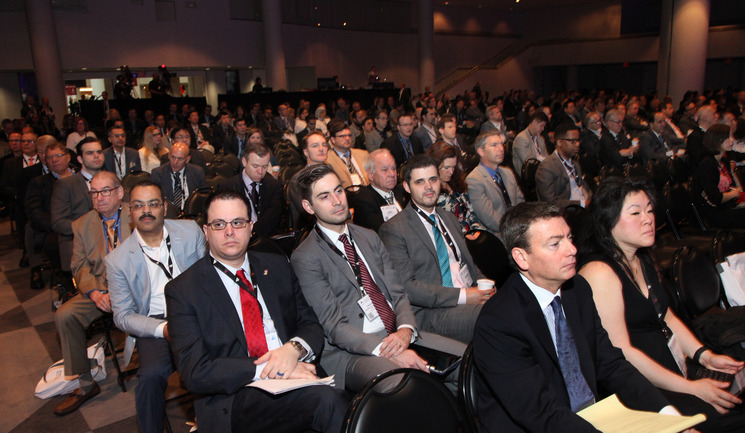 ASAPS will take place in New Orleans next year on 16-21 May.